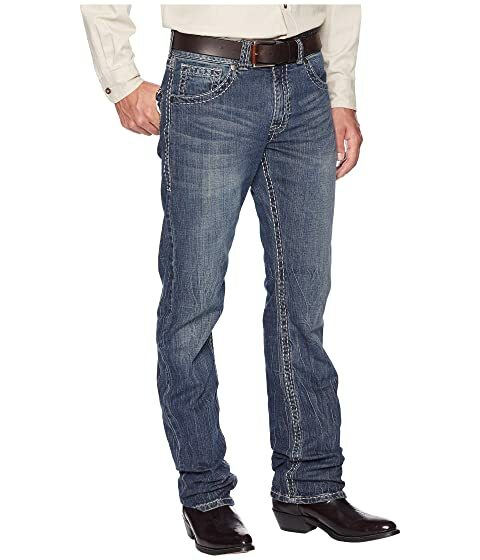 Take your county fair look to the roadhouse with the durable Wrangler® Rock 47 Relaxed Boot Denim jeans. 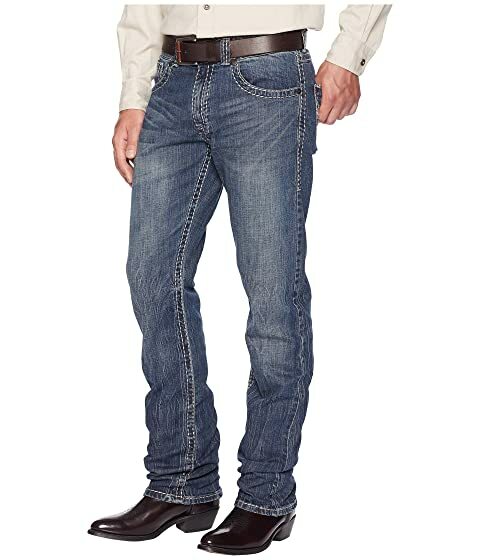 Part of the Rock 47™ Collection, shaking up traditional Western style so you can rock it with a little attitude. 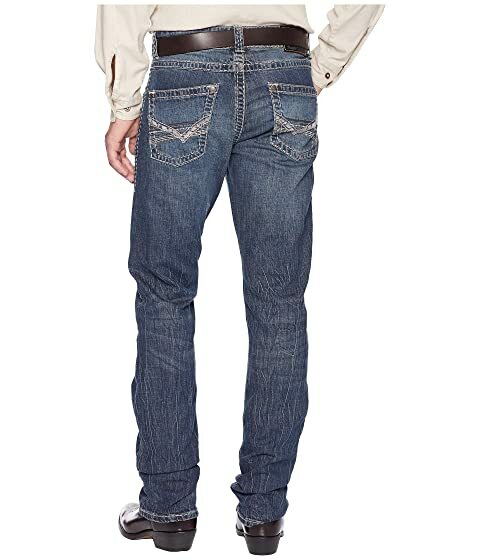 Low-rise jeans feature a slim cut that runs straight through the leg. 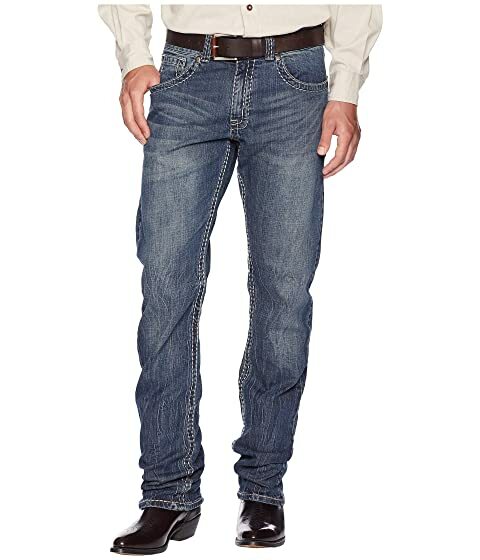 Medium blue wash features whiskers and sanding that draws out the crosshatch character of the stretch denim. Heavily threaded contrast stitching finishes the seams. Leather brand patch placed at the back waist.